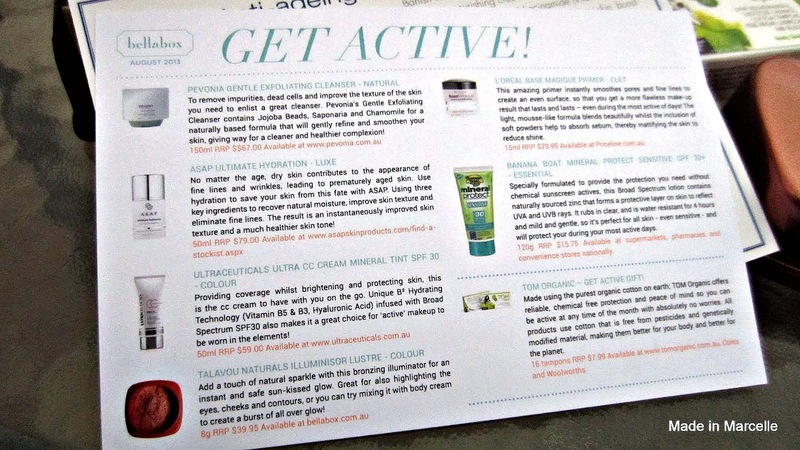 This month's Bellabox theme is "Get Active". But it's so hard to keep active when it's freezing cold and raining outside. I'm sticking to staying home and playing Just Dance on my Wii. Let's see what Bellabox has to offer. 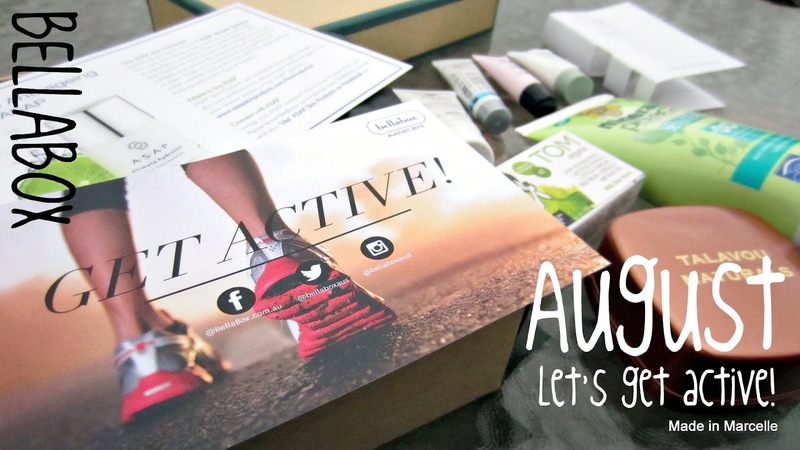 There are a total of seven items in my August Bellabox and to my surprise none of them really shouted "get active". I guess when I saw the theme I was expecting protein shakes (...not). 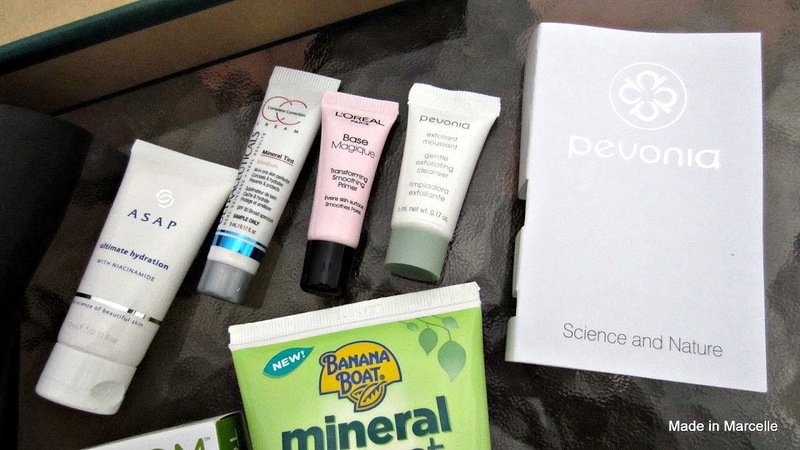 Nevertheless, I'm still happy with this month's products. This just looks like another moisturiser but it "results in instantaneously improved skin texture and a much healthier skin tone" and it is quite pricey so I am glad it's included in this month's box. There aren't many non-Asian CC Creams out there yet so I was pleasantly surprised to see this. Usually not a huge fan of CC Creams but we'll see. I'm always happy to try out new primers that will make my skin look smoother and less oily. 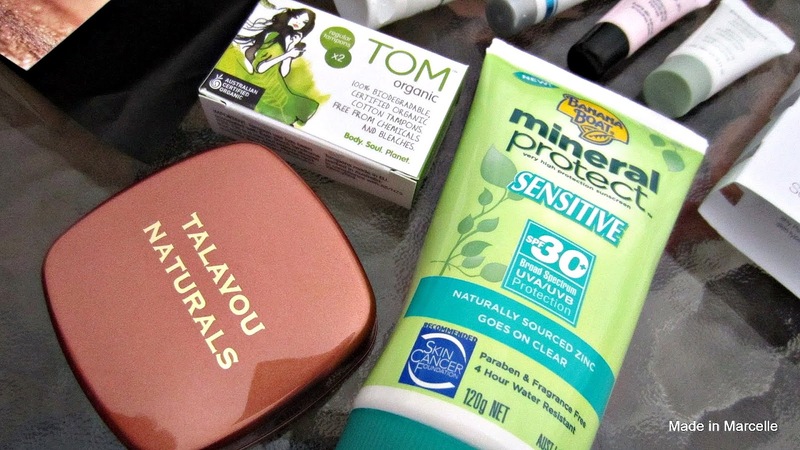 Like the other brands except Loreal, this is another brand I've never come across before so I'm excited to try them out. And it came in a little paper packaging of its own so I have high expectations! When I first saw this I thought it was a bar of soap. I'm not a big fan of tampons in general so this is a 'meh' item for me. This is an item I'm most excited for! Our uni ball is quickly approaching and this seem like the perfect item to use for the occassion. And I desperately need some bronzing because currently I have really bad tan lines around my neck and back. First of all, this is a full size! And secondly, I have way too many sunscreens that I don't even use. Living in Australia I should've learnt my lesson by now to wear sun protection daily. I guess having this extra tube of sunscreen forces me to use more from now on. I don't think the products themselves are "get active" but trying to keep your make up in place during a hot, sweaty workout. I liked my BB, there was a great range of products, but nothing really stood out. 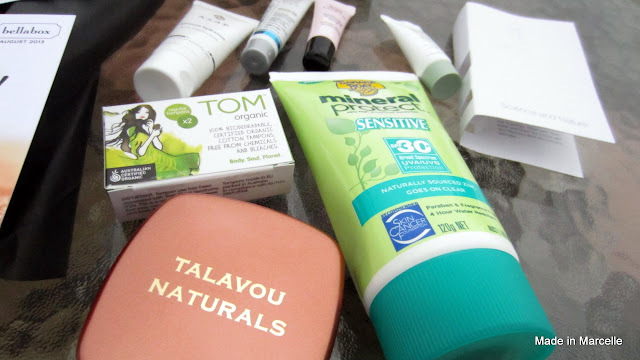 I really liked LHI's box this month though. Yea I know what you mean. I personally prefer to receive makeup products in my BB so this one isn't my favourite so far.